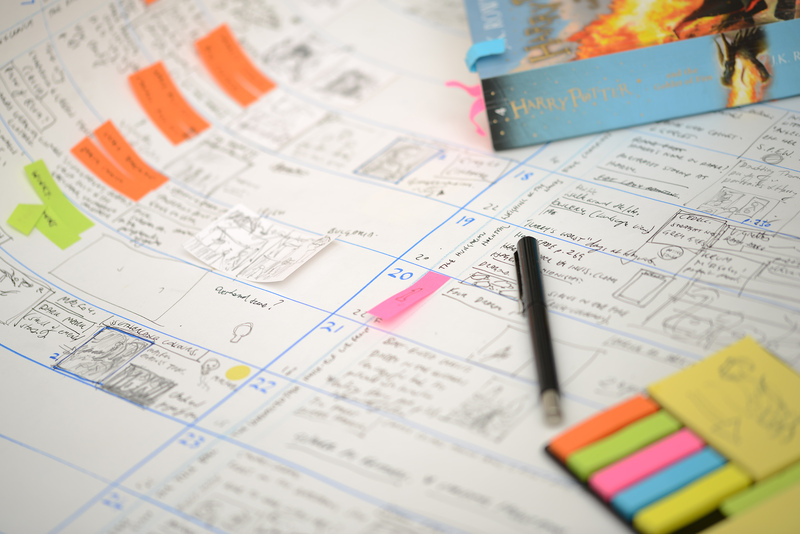 Planning Goblet of Fire – creepy scrawlers ltd. This is how every book starts, going through the book a number of times, trying to select the illustration opportunities and getting them to balance. There are so many great scenes in the fourth Potter book, I’m really excited about it. Sorry I can’t show the sheet in more detail – don’t want any spoliers yet!